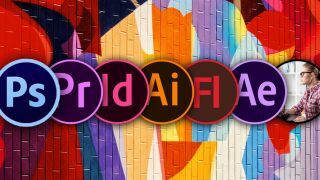 If you're a creator, you need to know how to use these Adobe tools. Adobe Creative Cloud is jam-packed with helpful software that any content creator should know how to use. You don't need to spend lots of money on classes though, you can just get the The Complete Adobe CC Training Bundle. This $29 bundle will get you up to speed on everything from video editor Premiere Pro to photo editor Photoshop. You'll also learn how to create magazines and newsletters with InDesign, and how to add special effects to your videos with After Effects. Don't have Adobe's software yet? Buy Adobe Creative Cloud here. Get these skills under your belt with The Complete Adobe CC Training Bundle for only $29.